Parenting tips to help you to raise your child to become a successful leader. This article provides tips for teaching children to be leaders and how to model good behavior for your children. If your child has ODD this will help them with their behavior. One of the most important lessons a child can learn as they grow is how to become a successful leader. In the age we live in, it sometimes seems as though everyone wants the perks of being a leader, but few want to invest the time and energy that it takes to become one. If you can instill the qualities of being a true successful leader into your child, your child will be a step ahead of the rest as they grow. Leaders are incredibly important in our society. Too many people simply follow everyone else and don’t cultivate their own beliefs and opinions. Those who will become the true leaders of society will be those who dared to step out on their own and make choices based on their values – rather than just following along the wide path that so many blindly follow. Below are some of the qualities of a successful leader that will help your child to become the best one they can be. Need professional help with the Terrible Twos? This is an excellent resource. Being a leader is a position that stands out to many individuals simply because they don’t like to take orders, and they may feel that being the one giving orders will solve this problem. However, being a successful leader also requires knowing how to follow the lead of others. If you want others to follow you as you wish, putting yourself under the wisdom and direction of another person will help you to stay humble and will help you remember the needs of those under you. From early out, enforce to your child the importance of being able to follow directions and the instructions of others. Tell them often to remember to listen to their teachers, older family members and other leaders of the community and explain why it is important that they do so. Turn screen time into learning activities with these educational games for kids. Sometimes, being in charge makes us forget that there is a time and a place for everyone to shine. Remind your child that as a leader, they should actively seek out opportunities to let others have their moment in the spotlight. A great leader makes others feel good about themselves and giving them these opportunities will ensure that this happens often. Reinforce this principle among siblings especially or when on play dates with your child. Encourage them to cheer on others and help others win when they can so that they won’t feel the need to always be the winner. Let them play in teams and know that helping a teammate is OK because a win for the team is a win for everyone. Sign them up in sprting activities at school that can help with this trait. Teaching your child to work well with others will enhance their ability to lead. Everyone loves a leader who is a team player. By building the skill of team co-operation in your child, he or she will be more prepared to become a leader who is well liked, and known for their good qualities. As a leader, your child will sometimes find themselves open to criticism from all angles. Teach them to see the good in this. When someone appears to be critical of your child’s leadership, train them to try and take at least one thing from it that they can learn. Teach them the importance of sometimes overlooking the tone that the critical remark or advice is said in. Teach them to stand up for themselves when attacked, but to learn whenever possible. Being a leader is not the glamorous life it sometimes appears. Teach your child the true meaning of being a leader, and how the path to gaining those qualities takes strength and humility. Remind them of the importance of leaders in our society, and the need to keep their motives pure. Download these free alphabetic flashcards to help your little one become an early reader today! When it comes to children, you are their role model. Parents are their first teachers. It is important to let them know how to deal with various situations as they age. Appropriate responses lead to positive outcomes. This is important for all children but especially so if you are dealing with a defiant child. Model appropriate behavior mindfully whenever given the opportunity. It will make things easier on you and on your children. Are you dealing with a child with Oppositional Defiant Disorder aka ODD? Having trouble with potty training? Here’s a guide to help you get there in just 3 days. Defiant children that suffer from ODD are more complex than just being stubborn. These children are disagreeable in the extreme and the behaviors occur almost daily. Parents often feel responsible or guilty for their children’s behavior anyway, so this just makes the situation that much more intense. The children may break the rules, talk disrespectfully, and repeat annoying behaviors on a regular basis. Traditional types of discipline only fuel the children’s anger and irritability. Parents often find themselves on a perpetual search for new ways of handling the situation which can become weary so prevention by modeling good behavior is worth the effort. 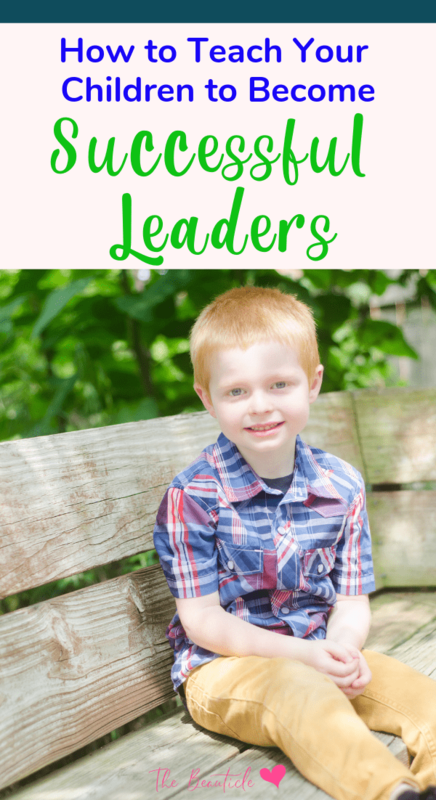 Whether your child has been diagnosed with ODD or you’re just wanting to teach your kids how to be great leaders and role models, these tips will help. Did you know that 67% of all Grade 4 students cannot read at a proficient level? Try this unique reading program developed by a loving parent just like you. To help the children and family, professionals, who specialize in behavioral disorders, can offer effective methods to help parents problem-solve, decrease negativity, manage anger, and increase social skills. There are also family sessions to discuss how the issues affect each household member. In addition, parents can make things better by modeling the behaviors they want their children to emulate. Defiant children have a problem dealing with their emotions. Looking at their parents examples can assist them in making the best choices. During the day, you have many opportunities to practice conflict resolution with the adults around you. If your children hear you yelling at the customer service person when you have an issue, your children won’t think twice about yelling at you and others. Instead of becoming loud or aggressive, show that you communicate with others calmly and quietly. Even if your children aren’t anywhere around, practicing this yourself turns it into a commonplace behavior that you won’t need to think twice about. Have you waited in line for a long time because of a slow checkout person? Don’t mutter about them under your breath and then smile at them when you get to the head of the line. Resist giving people dirty looks as well. Waiting is a part of life. Practice waiting patiently and quietly. You feel better in the end and you set the standard for your children when you model the behavior you expect to see in them. The earlier your children learn and master this skill, the better off they will be. Let’s face it. To be perfectly honest, it also means that you will be embarrassed less often by your children blurting out something they obviously heard you say. Kids watch you interact with others. When you have a disagreement, don’t yell, stoop to name-calling, or bring up the past. Deal with the situation at hand. Focus on the current issue only and redirect the focus back to the present as needed. Ideally, when people disagree, a compromise is made and each person gives a little. There are times when a compromise just isn’t possible under the circumstances. In this case, it’s best to set a boundary, agreeing to disagree. This allows you to accept that the other person has a different point of view without agreeing with it or needing to prolong an argument about it. If you miss a payment, you get a late fee. You are responsible for paying it on time. Don’t make excuses or lay the blame elsewhere. Accept that you made a mistake and do things differently next time so that you don’t make the same mistake again. When you accept the consequences of your actions, your children will begin to understand that they aren’t the only ones who have to take responsibility for what they do, or don’t do, and say. Use every opportunity to demonstrate positive behavior to your defiant children. It reminds them that they always have choices. The trick is to show them how to weigh the consequences of each and make the best choice.